Yesterday marked the beginning of National Teen Driver Safety Week (October 18-24), sponsored by the National Highway Traffic Safety Administration (NHTSA). Although teen drivers make up a small percentage of drivers in the U.S., they are at an especially high risk of being involved in a crash. 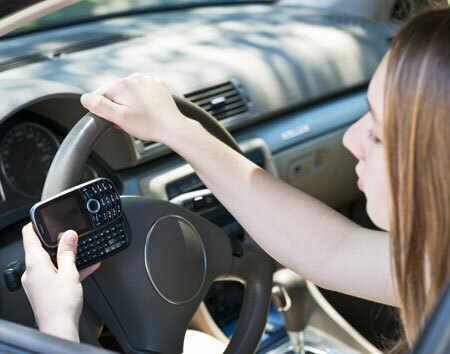 Contributing factors include teens’ lack of experience behind the wheel and their tendency to engage in unsafe behaviors such as speeding, driving aggressively, or using a cell phone. 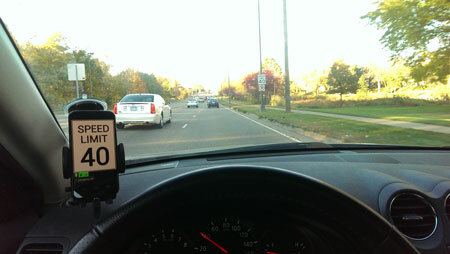 Researchers at the U of M agree that parents play an important role in encouraging their teens’ safe driving behavior. To help teen drivers stay safe on the road—and encourage parent involvement—they have developed a Teen Driver Support System (TDSS). The smartphone-based system is a comprehensive application that provides real-time, in-vehicle feedback to teens about their risky behaviors. It also reports those behaviors to parents via text message if teens don’t heed the system’s warnings. The TDSS device, mounted on the vehicle’s dashboard, provides visual and auditory warnings to the teen driver about speeding, stop sign violations, excessive maneuvers, upcoming curves, unauthorized passengers, and seat belt use. It also prevents teens from using their phones to text or call (except 911) while driving. If an infraction continues after the TDSS warning, a text message is sent to parents. Information is also available to parents on a website that summarizes their teen’s driving events and behaviors. The University is exploring options for commercialization of the TDSS. At present, the system is not available to the public.